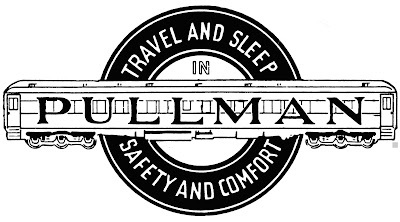 Experience luxurious rail travel aboard the classic 1930's Pullman lounge-sleeper Dover Harbor—travel to the Nation’s Capital, Washington, DC, for an enjoyable day-long Autumn rail excursion. Dover Harbor will depart from Norfolk’s Harbor Park Amtrak Station early on Saturday, October 4, 2014, with Amtrak’s Regional train #88, stopping at Petersburg and Richmond Staples Mill on the way north. Relax in comfortable Pullman armchairs while the train glides through the colorful scenery of Virginia’s Tidewater region. White jacketed attendants will serve you breakfast en route to a morning arrival in Alexandria and Washington. At Alexandria, you’ll have time to walk the same streets that George Washington and Robert E. Lee strode on a walking tour of the city’s historic Old Town; many historic sites are an easy walk (or free trolley ride) from the Amtrak train station. Or continue to Washington’s beautifully restored Union Station in the shadow of the U.S. Capitol, where you’ll have time to stroll around Capitol Hill, walk the National Mall, tour the Smithsonian Museums, or perhaps take a tour of some of the city’s many memorials and sights. Our trip Destination Guide will give you more information on what to do while in Alexandria or Washington. On Saturday evening, Amtrak’s Regional train #71 will take you southward along Potomac River tributaries and through historic Virginia Tidewater towns. Sip a cocktail and savor a delicious supper served at white linen clothed tables while en route. Dover Harbor will return you to Richmond or Petersburg at mid-evening, and Norfolk at the last of the day. 1. No refund or credit of purchased tickets after August 1, 2014, other than by operator's cancellation of the trip or reselling of the space. Reservations are not transferable and may not be resold without the consent of the operator. 3. Children’s fares apply to ages 2 – 15. Children under age 2, not occupying a seat, travel free. Each child must be accompanied by a full fare paying adult. Above age 15, the full fare is applicable. Questions? For trip information, call 703-273-8440 or e-mail reservations@dcnrhs.org. from ____ Norfolk ____ Petersburg ____ Richmond Staples Mill Rd.